There is no definite movement on a film adaptation of Harry Potter and the Cursed Child. And adaptations of successful stage shows -- be it West End or Broadway -- tend to take a very long time because producers don't want to stop people from buying (expensive) tickets to the plays or musicals, if a movie version exists. This is part of the reason why Wicked has taken so long to become a movie, or why talks to turn The Book of Mormon into a comedy often stall. The shows are still packing them in. Why give audiences a cheaper alternative? Also, Warner Bros. currently has a trilogy with Rowlings' blessings in the works, and that's Fantastic Beasts and Where to Find Them. The first story in that new franchise drops on November 18, and the studio already has circled a date for a sequel. If audiences love the wizarding world of Newt Scamander (Eddie Redmayne), that gives Warner an open door to explore passages in the Rowling universe without having to dig up Harry Potter and his cohorts. Then there's Daniel Radcliffe, who, since leaving the series that gave him professional notoriety, has been successful in distancing himself from Harry and establishing himself as a credible acting talent. So far this year, he has played a farting corpse (Swiss Army Man), a world-class illusionist (Now You See Me 2) and an undercover cop committed to taking down a group of white supremacists in Imperium. Radcliffe can't be typecast because he's taking on daring roles. 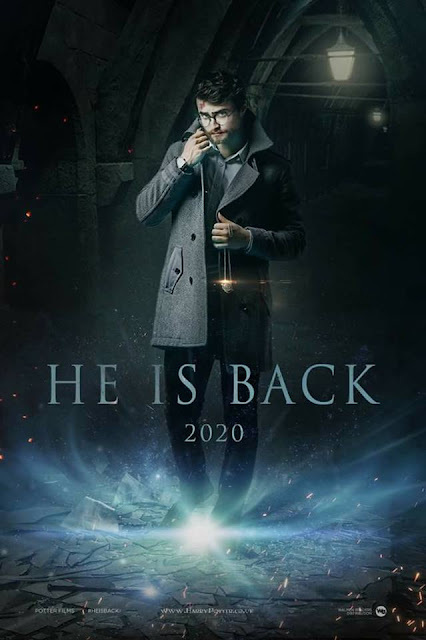 Why would he run back to Harry Potter? That being said, I do think Daniel Radcliffe eventually does return to the role of Harry Potter when Harry Potter and the Cursed Child finally makes it to theaters... only, I don't think it's happening any time soon. For the reasons mentioned above, I'm willing to bet that Cursed Child stays in its current stage form for several years, entertaining the West End before hitting the road to play New York, Los Angeles, and points in between. On the movies side, Warner Bros. will explore Rowlings' stories via the Fantastic Beasts franchise for the next few years. However, once that trilogy has run its course, they'll approach Radcliffe and see what it would take to get him to return to the series.